Science can indeed be fascist....science is a tool and can be used for very bad things. I'll take God's word over man's any day. In what contexts are these books being used? Are these homeschool materials? Please don't tell me there's an actual school using these. I understand they are used in some Christian schools and for Home schooling. Is it any wonder why many far right Christian conservatives 'think' the way they do? "Mein Kampf" would fall under the category of religious teachings. The A Beka Books are highly recommended for home school and study. Incredible ignorance. this thread is the proof that the most militant ignorant religious people are those, who worship an infallible totem of "science"
you may want to educate yourself a bit before exposing your ignorance. Hitler was anything but religious. Mein Kampf (pronounced [maɪ̯n kampf], "My Struggle") is a book by Nazi leader Adolf Hitler. It combines elements of autobiography with an exposition of Hitler's political ideology. Religious bigotry is still bigotry. Do you get nervous when a young black male is around too? What strawmen? I've never took your argument out of context. I simply asked you for one study that you feel has the most meaningful conclusion to sexual orientation being innate. I have access to Jstor. So you don't know what a strawman statement is either? Where did I say you took my argument out of context? (taking something out of context is not in itself a straw man argument btw). How about you state what you think my 'argument' actually is? In fact, why don't you state what YOUR argument is? I have posted links to many research articles and studies. You claim to have read them all. You choose one. But you are completely missing the point if you think taking one study on it's own and trying to tear it down using semantics and straw men proves anything at all other than your blind prejudice. My argument is that all the research from at least the past 20 years supports the hypothesis that homosexuality as a sexual orientation is biological (this does not mean purely genetic btw). There is no reliable evidence to show that it is a choice, just a behaviour, 'caused' by having a distant father, can be changed with therapy or prayer, or any other lame non-evidence-based claim made by the religious anti-gay crusaders. This statement pretty much sums up my views and the views of most knowledgeable health professionals and scientists in the field. 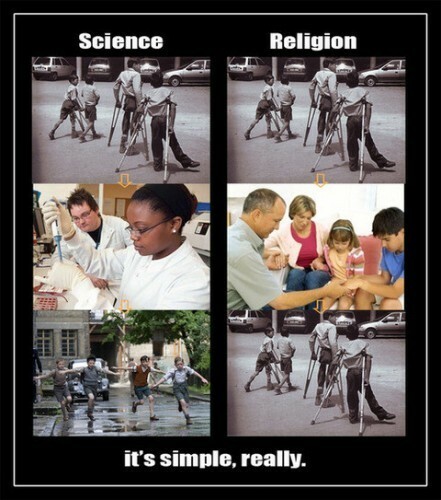 Views based on the available evidence, not religious propaganda, ignorance and prejudice. Last edited by Ceist; 07-30-2013 at 10:19 PM..